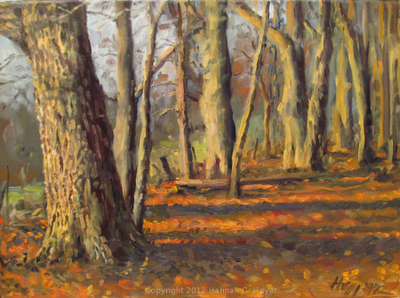 November Woods, plein air, 9 x 12" oil on linen. The oak leaves are still beautiful, they're just underfoot instead of overhead, and I love the way the late sunlight hits the bark on these great old trees. I've been kind of quiet lately, with lots of unfinished projects in the works. Hopefully some of them are close to completion! In October I took over the local library, with 29 original oil paintings and 10 illustration prints. Between planning, framing, and hanging, there were sure times I thought I'd bitten off more than I could chew! But it all came together, and the library crew was fantastic. Illustrations and paintings at the library! Illustrations displayed above the shelves of picture books. "Song of Grace" and "Third Position", two portraits done in oil. Detroit plein air paintings on display. 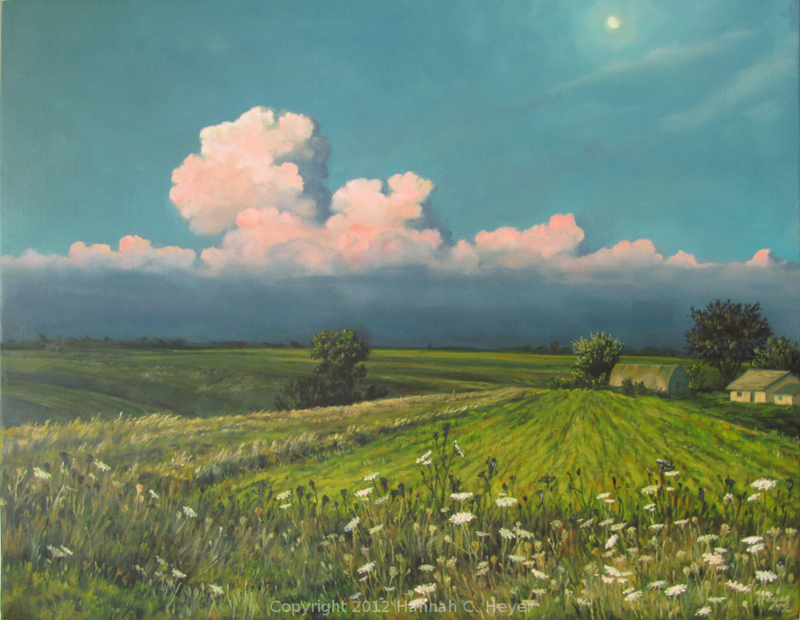 "Uncle William's Farm", and the little plein air piece on which it was based. 14"x18", and 7"x5" oil on linen. The weather has turned colder, and we had snow yesterday. Not the staying sort, but that may be just around the corner. Stay warm!